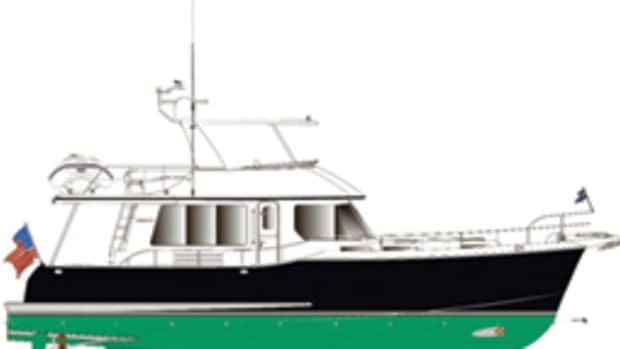 The Henrietta J. IV isn&apos;t your typical sportfishing cruiser, inside or out. For starters, she&apos;s custom-built by New England Boatworks of Portsmouth, R.I., and features an entirely aluminum hull and deck. In the water, the Scotch-Brite finish gives off a unique and - if it&apos;s really sunny - a rather intense reflection of the water and light. 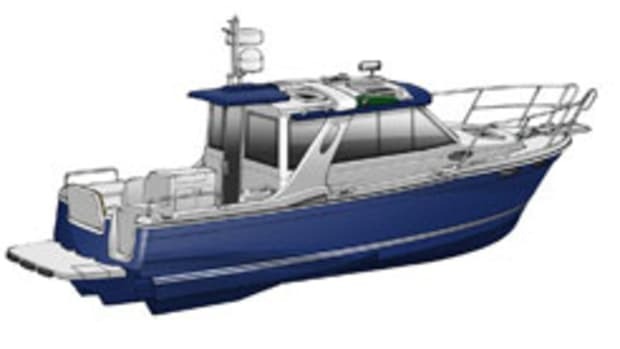 It might not be a look most New Englanders are familiar with, but New England Boatworks project manager Bob Sharkey says an all-aluminum hull is a commercial workboat application commonly seen in the Northwestern waters of the United States. But don&apos;t be fooled into thinking this is just another simple cruiser. The Henrietta J. IV is 35 feet and is powered by a 480-hp Cummins diesel engine with an UltraJet 340 drive. 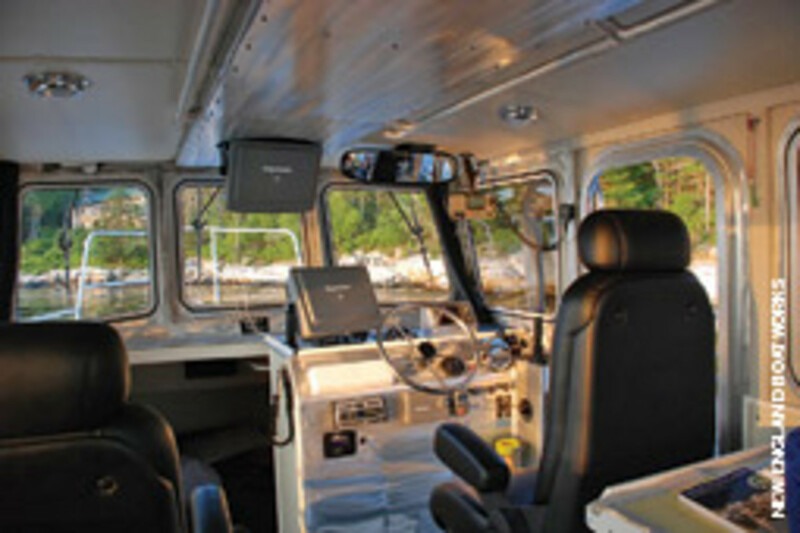 The joystick-operated jet propulsion system will help Henrietta J. IV navigate alongside the commercial lobster fishermen that operate in and around Cundy&apos;s Harbor on New Meadows River in Maine, where the vessel is docked. It&apos;s well-known that Maine&apos;s coastal waters are crowded with lobster pots and, after talking with a couple of local fishermen, the owner decided he didn&apos;t want to be one of the many recreational boaters forced to cut free a buoy line wrapped around the propeller, according to Sharkey. The UltraJet drive solves that problem, he says. Though there have been criticisms about a jet propulsion system&apos;s limited maneuverability at low speeds, Sharkey says this simply wasn&apos;t the case, at least with this model. "It&apos;s amazingly intuitive," he says of the jet drive&apos;s ease of operations for docking and slow speeds. It took Sharkey 10 hours to deliver the cruiser from Narragansett Bay, R.I., to Cundy&apos;s Harbor at a cruising speed of about 24 knots and a maximum speed of about 28. 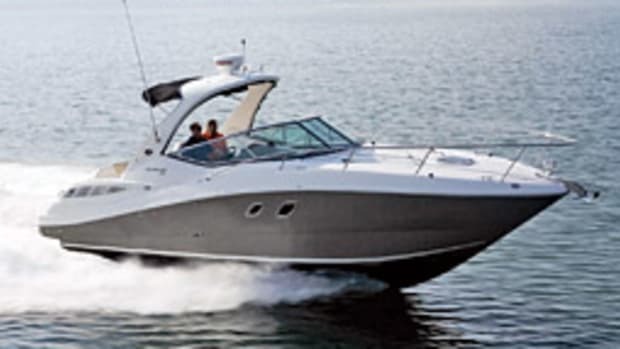 At cruising speed, the boat is very comfortable, Sharkey says - you can even sit back and watch satellite TV if you want. She has a range of 225 nautical miles on 250 gallons of diesel. Henrietta&apos;s deep-vee hull evolved from the Hunt-designed 33-foot Surfhunter. 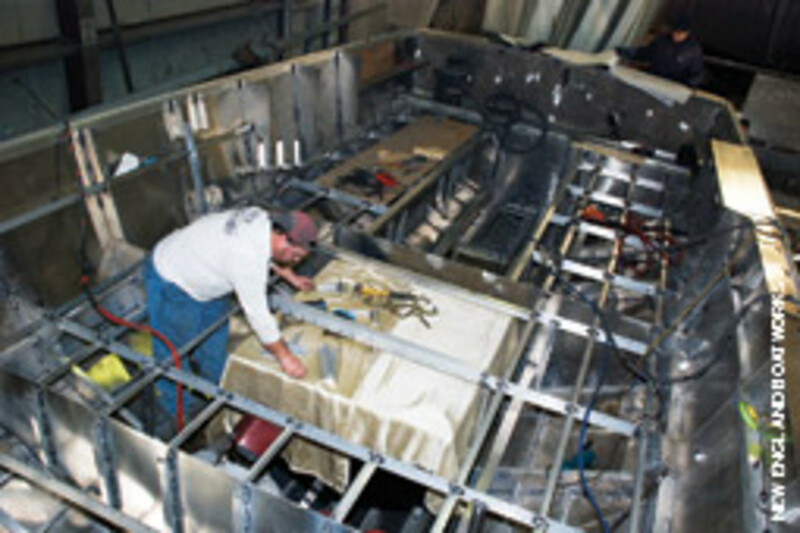 New England Boatworks coordinated with Hunt Yachts and took the basic design as a starting point. 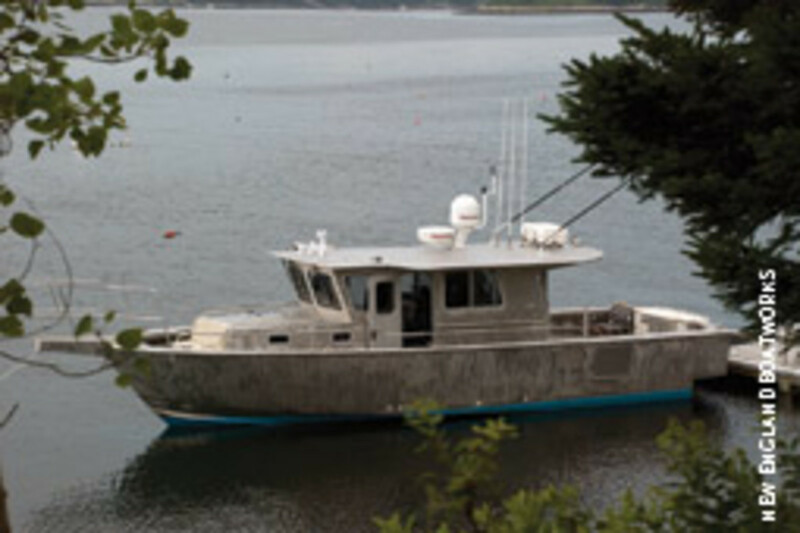 The boat is an evolution of the Hunt 33 deep-vee hull, but that&apos;s where the similarities end. The cabin is customized to service the owner&apos;s requirements, says Sharkey. The goal? 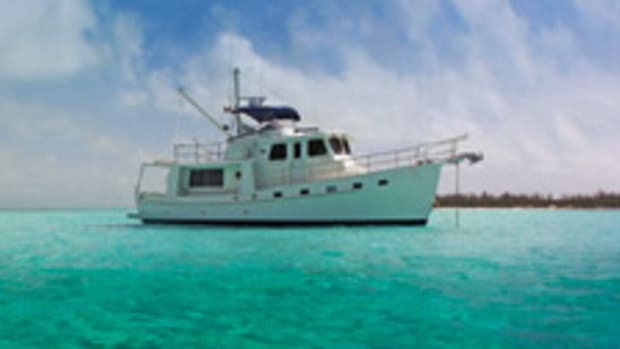 Basic, yet comfortable, accommodations for coastal cruising and limited extended trips offshore. 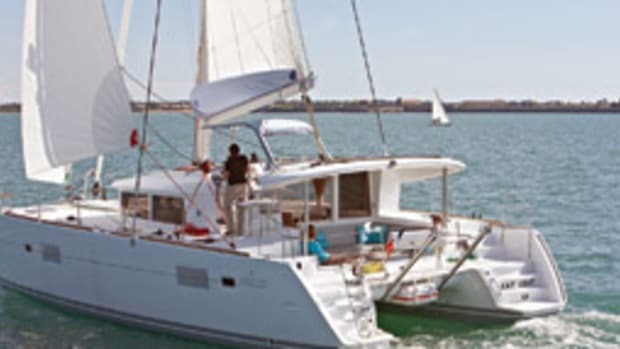 There&apos;s a functional galley in the pilothouse, and below a standard forward cabin V-berth featuring an electric head and hot water shower combo. Henrietta has a primary helm station with good visibility as well as an aft station that is strictly joystick control. The latter serves as a fishing station allowing the pilot - when offshore and in open water - to better monitor his fishing gear. But the helm station is needed for docking and operating in more crowded areas. According to Sharkey, the owner fishes for mostly coastal striper and cod, but the Henrietta is also equipped to catch offshore tuna and larger game fish. A half-size customized bow pulpit features a harpoon setup. 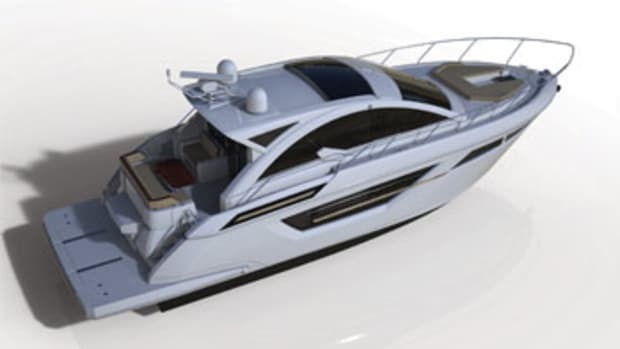 What makes the Henrietta especially unique, however, is her extensive and often extraordinary customization regarding the impressive electronic systems typically found on much larger boats. 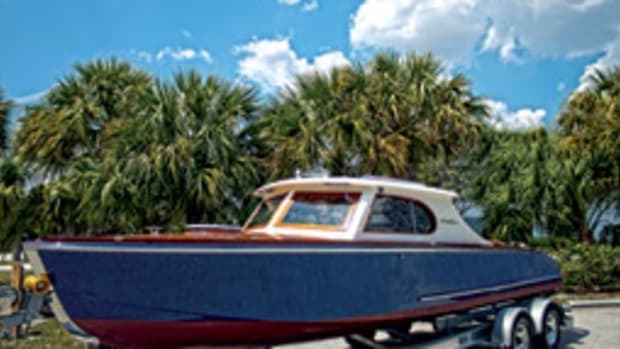 Though New England Boatworks has an in-house electronics team to cover the basics, the owner brought in marine electronics contractors Sawyer and Whitten, based in Portland, Maine, to outfit the cruiser with specialized electronic equipment. With a FLIR thermal imaging camera for visibility, even through darkness and heavy fog, and an Automatic Identification System that transmits and receives data on boats in the area, the electronics package of the Henrietta is typical of a 50-foot commercial vessel. There&apos;s even dual-station autopilot. 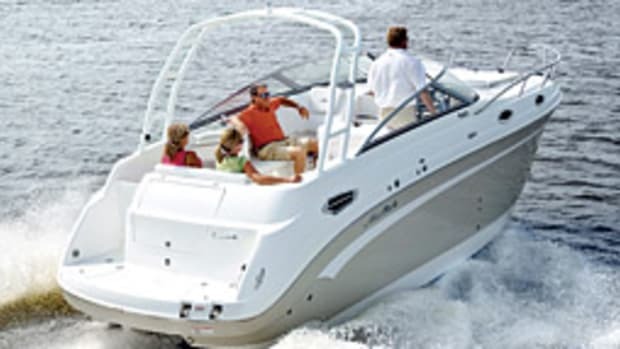 Four 12-inch Raymarine E120 monitors - two in the primary helm and two aft - display everything from full-color radar to Sirius Satellite Radio Marine Weather updates and DirecTV. All are networked together and equipped with video input capabilities, allowing the FLIR vision on any screen. All in all, the Henrietta J. IV is a technological force to be reckoned with and it&apos;s safe to say that fish don&apos;t stand much of a chance against these marine electronics. But that&apos;s the whole point. 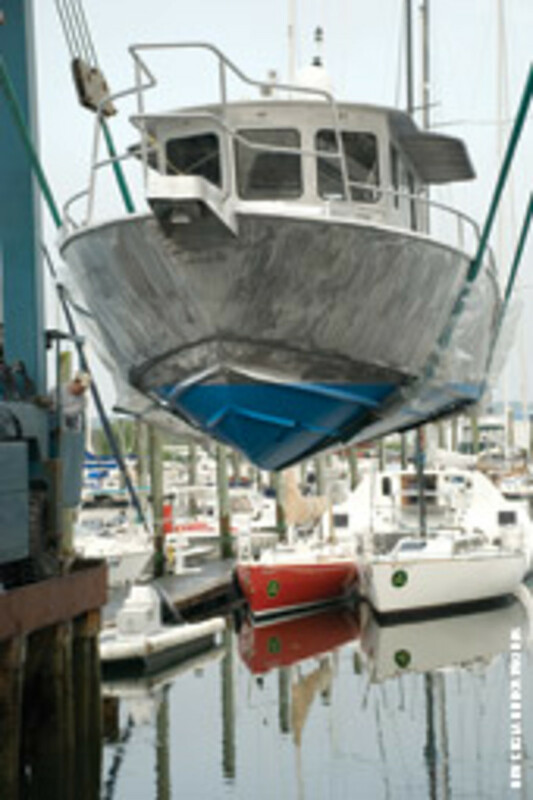 This article originally appeared in the New England Home Waters Section of the February 2010 issue.